Abbey is keen on evaluating the most innovative tools to enhance our clients’ social media advertising and optimization using Facebook Business Manager. Abbey has proven to be very skilled at targeting, campaign management, and loves getting conversions for our clients through ads. 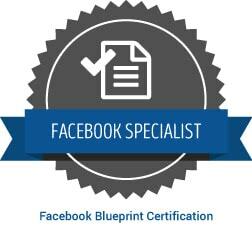 Abbey is Facebook Blueprint Certified and recently just returned from the Digital Summit in Phoenix where she learned about new digital marketing trends. In her free time, Abbey enjoys volunteering with the Fulton LifeLine Animal Project and the Atlanta Food Bank. She also likes to explore the outdoors and try new food! Abbey is a graduate of Georgia College, where she majored in Marketing.